Looking for the Best End User Experience on All Devices? The most streamlined approach to offering a cohesive mobile experience is responsive website design. 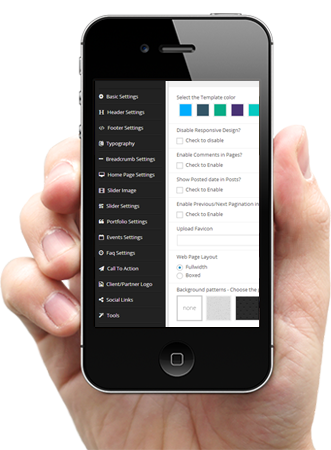 A responsive website adapts its layout (the elements of your site—text, icons and imagery, navigation, etc.) to the size of the device used to access the site. It utilizes a grid-based system and flexible image sizes to shift your content around as needed—no more pinching and pulling your mobile screen to zoom in and navigate around your site! - adapts the layout to the viewing environment by using fluid, proportion-based grids, flexible images, and CSS3 media queries, an extension of the @media rule. Flexible images are also sized in relative units on responsive website designs, so as to prevent them from displaying outside their containing element. Server-side components (RESS) in conjunction with client-side ones such as media queries can produce faster-loading responsive website designed sites for access over cellular networks and also deliver richer functionality/usability avoiding some of the pitfalls of device-side-only solutions. - is becoming increasingly important. Consumers are spending more and more time engaging with brands through their smartphones and tablets. ReddWebDev offers web development solutions that take this area of web design to the next level. In order to give you a better understanding of what we mean by the term Responsive Website, just visit this site on your phone and you'll see what we mean.